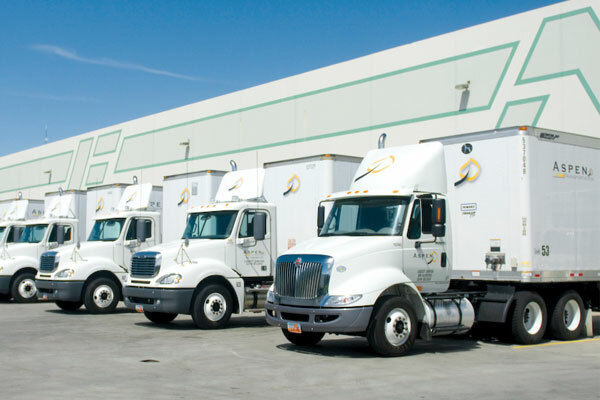 Aspen Logistics' Salt Lake City distribution center receives WellPet product from nearby manufacturing facilities. Dogged pursuit of supply chain and warehousing efficiency led pet food manufacturer WellPet to partner with two 3PLs. Natural pet products company WellPet describes its approach to pet nutrition as “passionately picky.” The Tewksbury, Mass.-based manufacturer selects nature’s finest ingredients and combines them in exact proportions to support pet health and well-being. So it’s no surprise that the company brings those same high standards to logistics. WellPet traces its roots to A. Hubbard and Sons bakery in Gloucester, Mass., makers of hard tack sea biscuits. One day in 1921, a local sailor threw a biscuit to his dog, who happily gobbled it up, and soon the Old Mother Hubbard pet biscuit company was born. In the 1960s the brand went all natural, and in the 1990s a team of animal nutrition experts, veterinarians, and scientists took it to the next level by using only carefully selected, authentic ingredients from trustworthy sources with an ideal nutritional balance. Today, WellPet offers four premium pet food brands: Wellness, Old Mother Hubbard, Holistic Select, and Eagle Pack. Customers range from veterinary offices and boutiques to large national pet specialty retailers including Petco and PetSmart. Communication is Key When Optimizing Logistics NetworksThe World is Your Warehouse, 2.0Designing a New Strategy for a New YearFirst Aid for the Hospital Supply ChainSetting the E-Commerce Gold StandardCSCMP Annual Conference: Can We Talk?